now we’re getting into the meat of this! here’s the nice thing about hitting state parks on the north shore: they are all on the same road (for the most par) and one right after another. none of this zigzagging through the flats of nothing to get to a park. that sounds like i resent the remoteness of some of the parks, but i get why they’re all over the place. but still. NW mn is pretty sparse. after an EXCELLENT breakfast of breakfast burrito/tacos and washing the dishes with my face soap, we packed up the tent, which now has a broken bag and we just shoved into the trunk willy nilly, and headed out on 210 toward duluth and the lake. 210. let me just tell you that 210 is the way to go. that’s a nifty little drive. we got to duluth and could barely see the lake because it was so smoggy. it was a little eerie – the lake just sort of blended into the sky, both of which were just smog ridden. once we got past duluth, two harbors was only 20 minutes away, and we chose the scenic route instead of the expressway. first stop was gooseberry, which was, predictably, packed. 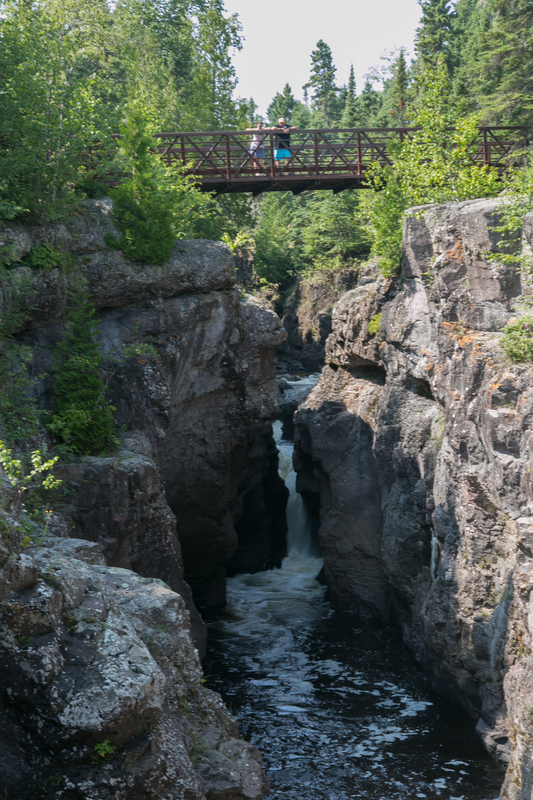 i understand that it’s right there on the highway and some pretty impressive falls, but i say that jay cooke was more interesting. but, that’s just me. we checked out the gift shop for some tums (no go) and then took a stroll down to the falls, then hiking across the river and up the other side before heading across the bridge. i love the clear water and rocky bottoms of the rivers and lakes up here. we left gooseberry, giving ourselves a pat on the back for getting there relatively early; the parking lot filled up and cars were lining the road. 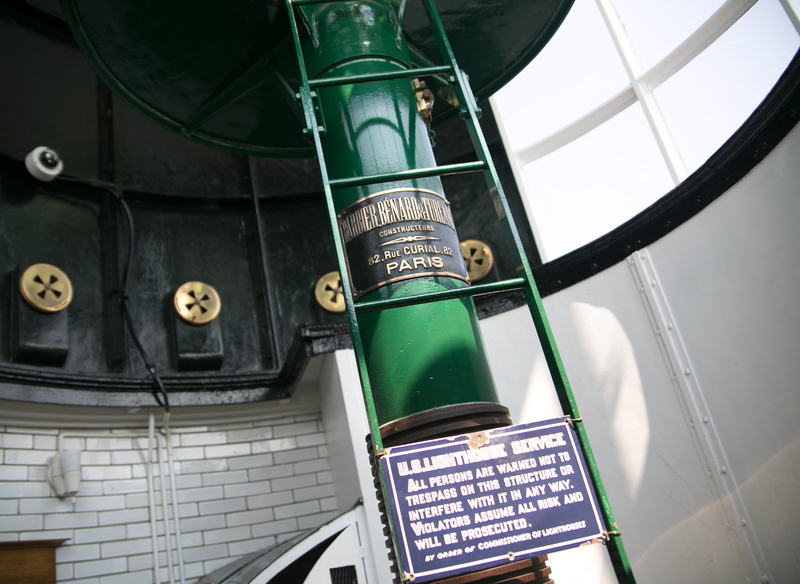 so many of the photos of the lighthouse i’d seen were from the beach below. lori and i decided to pony up the $10 to take a tour of the lighthouse! i made lori take a pic with one of the historical society dudes dressed in olde timey lighthouse garb. 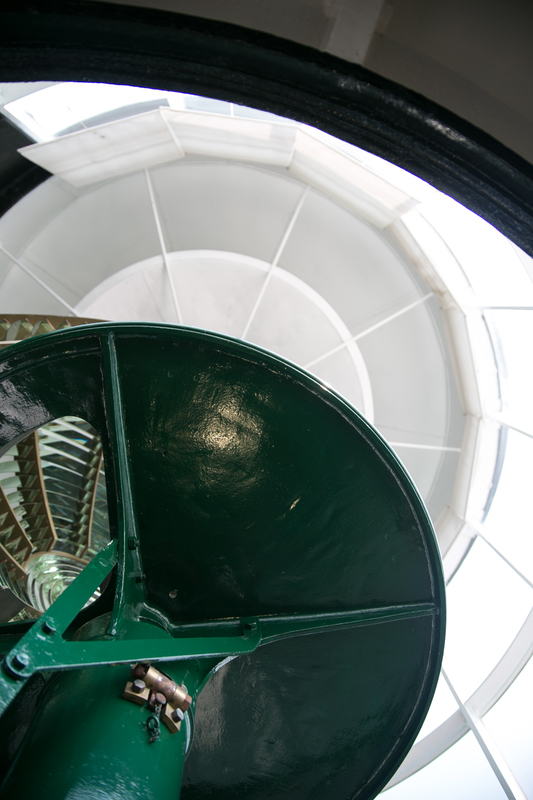 we went to the top of the lighthouse (30 steps), took a look around, came back down. we lamented the fact that there were people who were standing in the great photo-taking spots. turns out she is as people-averse as i am! get outta my way peeps! there was a caretaker’s home and a pretty good museum at split rock. we learned about SHIPWRECKS!! 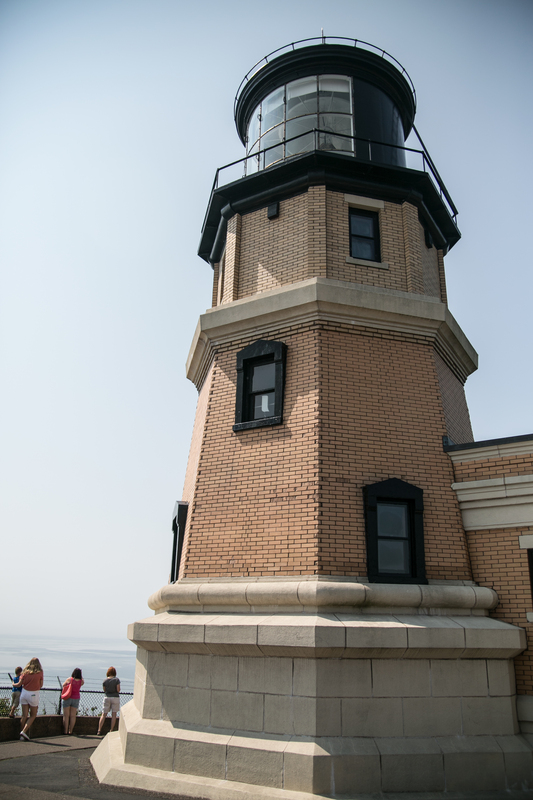 on lake superior and how the lighthouse came to be. then we thought about heading down to the beach to check out the lighthouse from the shore, but i stopped and said “WAIT. we probably have lots of chances to check out the lake from a shore. perhaps we should kick into quick mode a bit, since we spent a lot of time at gooseberry and now here.” we still had quite a few parks to get to. lori thought that sounded like a decent idea, so we said farewell to the lighthouse and headed to tettegouche. i’m sorry to say that we did not spend a lot of time here. tettegouche was PACKED (not what we wanted to see). lori dropped me off at the door so i could run in and get my stamp and a map. i was walking out of the ranger station when i noticed crosby-manitou shirts, which made me panic – what if i got there and there was no stamp? so i asked the ranger that question. AND WE GOT A MISSION FROM THE DNR. the ranger said he’d heard the stamp was missing, so were we going there right then? i said yes, after this we were headed up there. 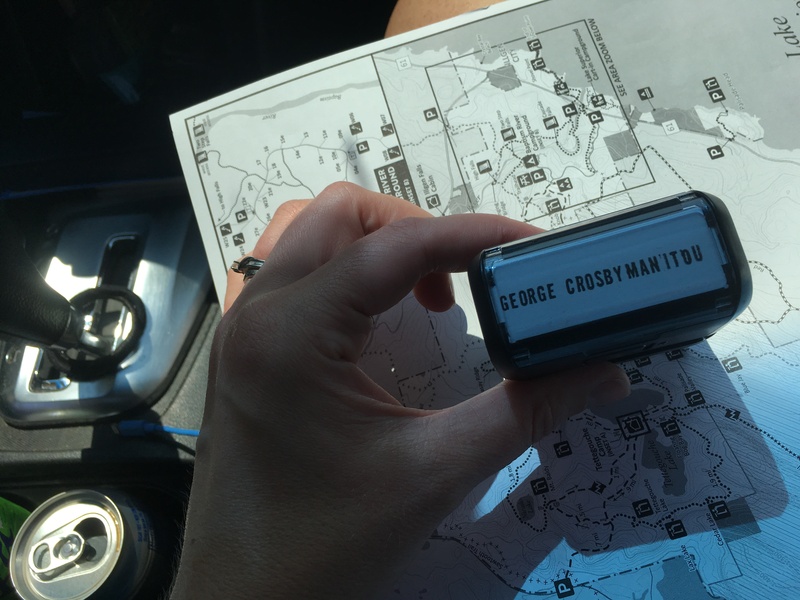 HE ENTRUSTED ME WITH THE STAMP and we headed to crosby-manitou on official MN DNR business! this one is slightly off the beaten path, but for a park that’s in the middle of a bunch of gravel roads, it sure was busy. the SHT runs through it, so there were a lot of day hikers parked there, i bet. lori and i took a short hike down a trail, and she hopped off into the woods to take a pee in the park (that’s her long-term goal – pee in all the state parks). a group of hikers was coming in just as i exited the rustic toilet (hole in the ground – i ain’t afraid of ’em), so i asked how it was going. it was a hot, humid day, and they were averaging 6 miles a day. there were a lot of them though, and hiking as a group has got to be a little time consuming. i wouldn’t mind hiking the SHT but man it seems like a lot of work. anyway, at crosby, we dropped off the stamp. the ranger was right – there was no stamp there. i am so glad i asked, otherwise i would’ve had to either backtrack or hope the next park had a stamp. MISSION ACCOMPLISHED. temperance snuck up on us but was no secret – there was a pull-off on the side of the road for those with no park stickers to check out the gorge. since we had a sticker, we parked in the lot available and took the short hike to the gorge to check it out. it’s pretty impressive what water can do to a landscape. as always, mother nature wins. at this point, it was almost mid afternoon and it’d been a while since we’d packed away the pies. in typical fashion so far this outing, we decided on food at the last minute and swerved into coho cafe in tofte. neither of us were particularly hungry until the food came, which we wolfed down. we both had a coffee to keep us up later (well, to keep lori up past 9). 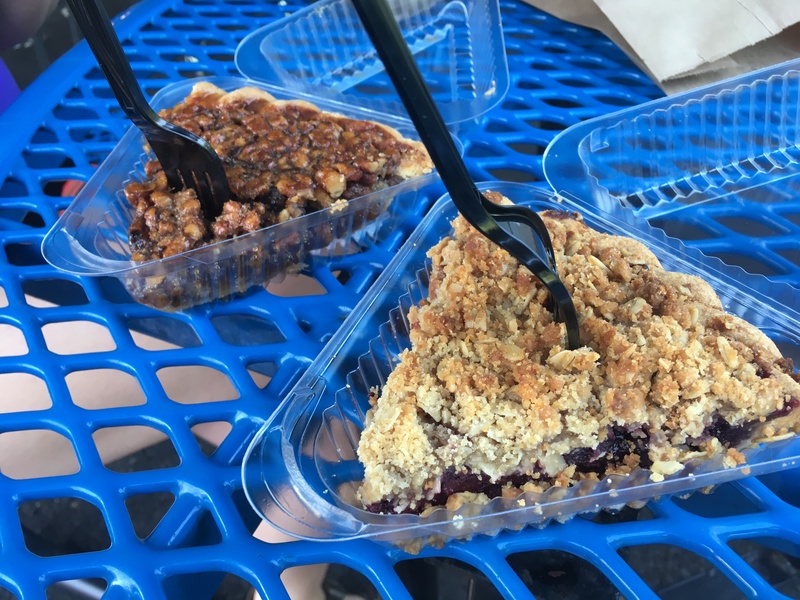 a note here to talk about food on my camping trips. i always have grand plans to cook on a campsite when i head out, but when it comes down to it, i end up stopping to pick up a sandwich or fries or something. so that’s why we’re eating at places like crazy mary’s! cascade river was actually pretty cool. there are multiple cascades as the river descends to the lake. we took a hike up to check out the cascades. super cool! the water is tinted brown from all the ore that’s in it. this park has five waterfalls and i get three in the pic! i have to work on my settings to make the water look more “flowy”. at this point, it was time to book it because we had to get up to the border and then back. 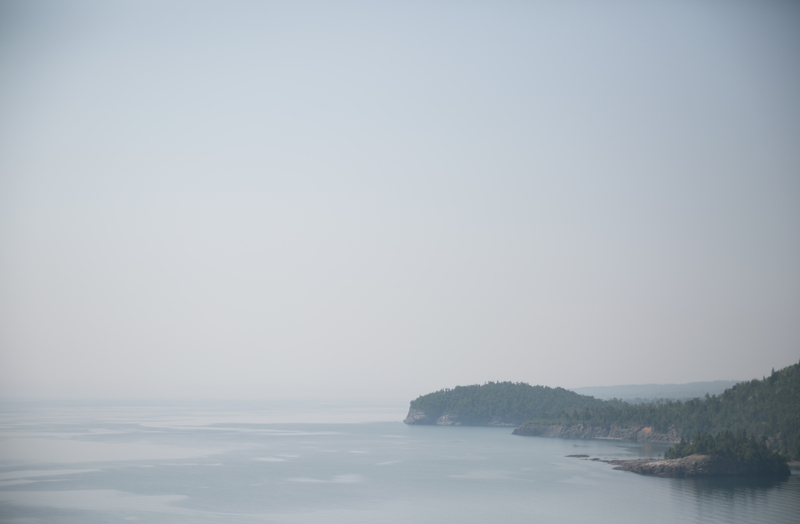 we drove through grand marais, which looked like the perfect oceanside hamlet with its marina and the still-foggy/smoggy lake smoothing out the waves. 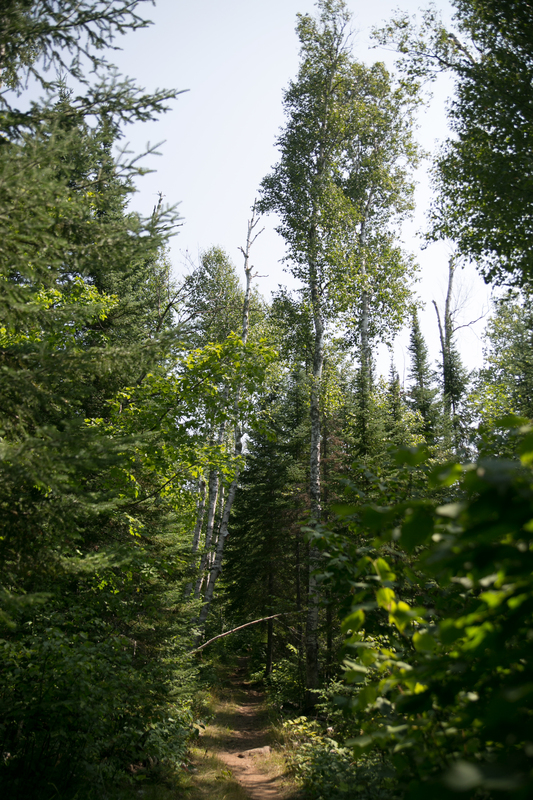 i want to come back the grand marais sometime to spend some time there. as we got farther north, the land got a little more rugged (volcanic action), with more peaks and high points in the state. then it was time for a national interlude…. 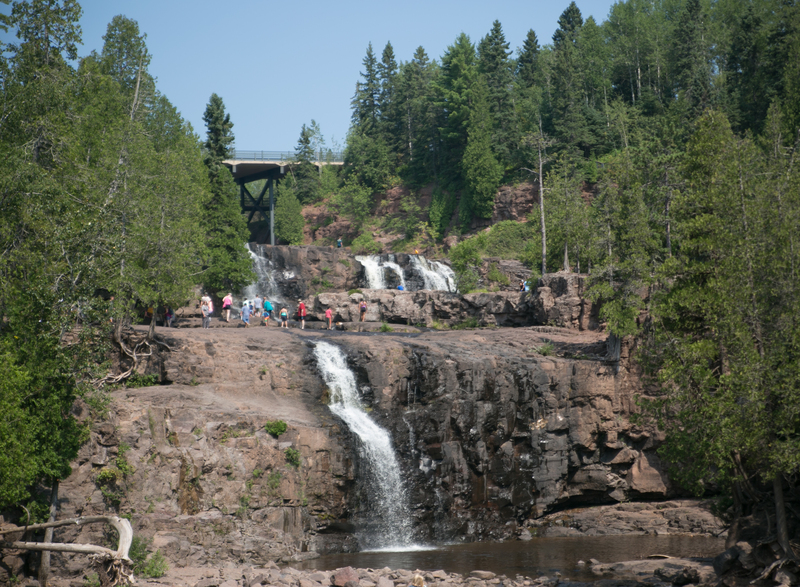 to complement my pipestone stop, we stopped at grand portage to check it out. unfortunately, we got there JUST as the building closed, but we were still able to walk the grounds and learn about the grand portage. 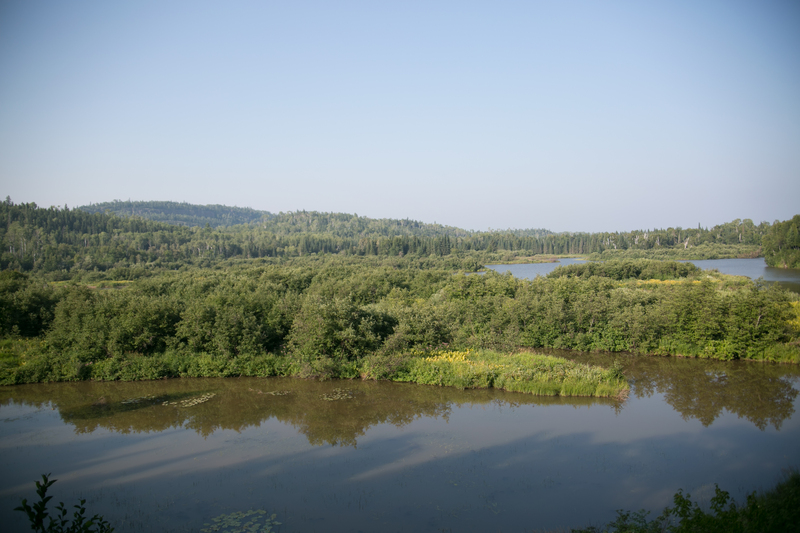 grand portage bay is beautiful! and a perfect spot for the canoeing frenchmen to make their landing. what a gorgeous area! it was pretty quiet this far north, and we were on the reservation, so there were minimal urban areas. i’d like to come back when the information center is open. 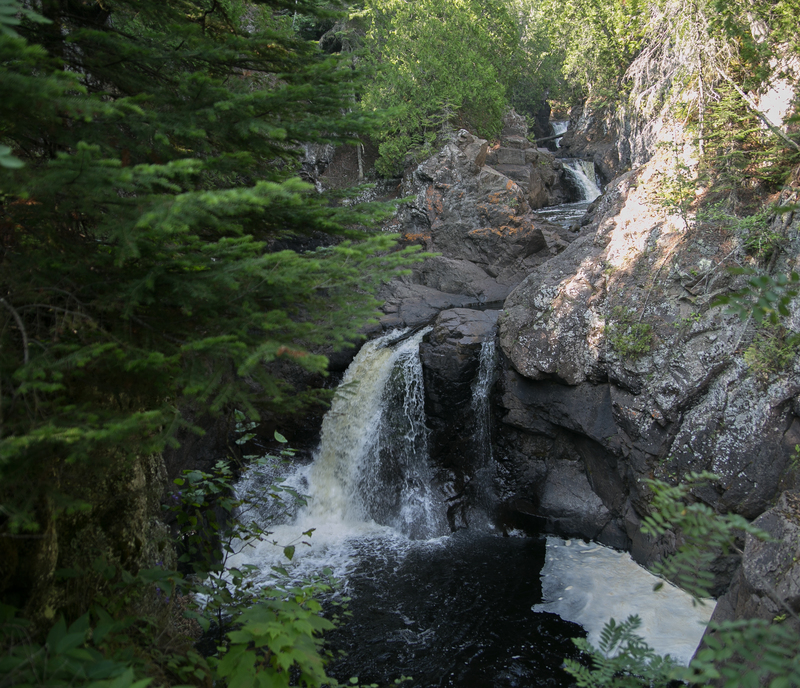 …and we still had some more of minnesota to check out! we drove as far as we could before the canadians needed to turn us away (lori said she didn’t know she needed to bring her passport; i don’t even have passport). 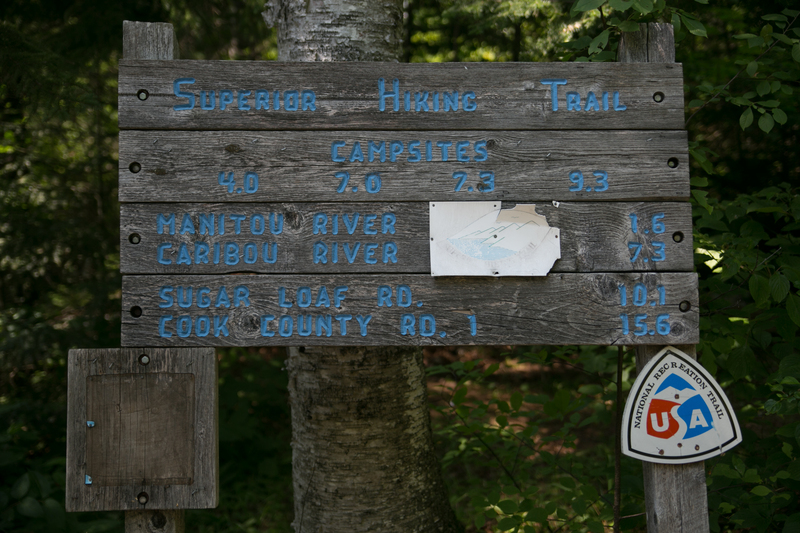 this state park is combined with the welcome to minnesota and the US rest area. there is no camping, but there is a historical marker for the state! we needed to backtrack, so we waved farewell to our northern neighbors and the gorgeous scenery and headed to judge cr magney park where our site was. when i made reservations for the north shore, part of my intent was to make sure i could get some decent astrophotography in. because light pollution is so bad down here, it’s hard to get decent star pics. and really, to see the stars in general. so the days i picked had a new moon that wouldn’t rise until early morning. i also made sure the park we were at wasn’t close to any of the little towns, and from there, i just prayed for clear skies. (i even had a backup date in case of bad weather). THANKFULLY, the stars (ahem) aligned. the breeze even picked up in the afternoon and cleared out some of the smog. (some was still sitting low on the lake.) 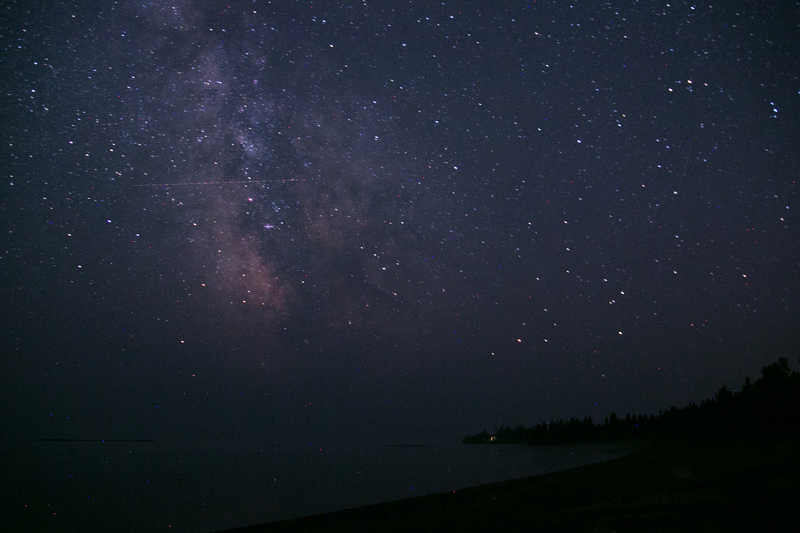 i think if there had been no smog, we’d’ve seen stars all the way to the lake, which would’ve been cool. it was still pretty awesome. we left camp about 10:15 and headed to a little beach about a mile down the road (i had even scoped that out beforehand). 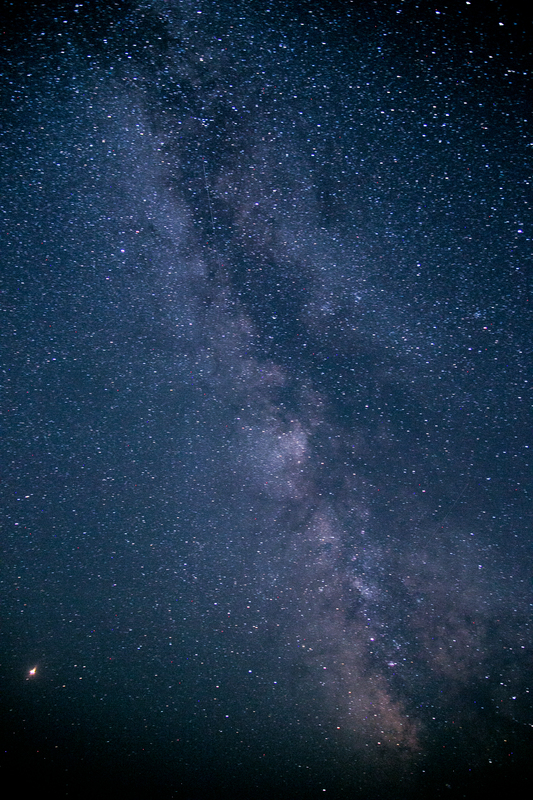 we got out of the car and instantly could see the milky way. it was so spectacular. holy moly, i am in love with these. i’d never seen mars so red in the sky! 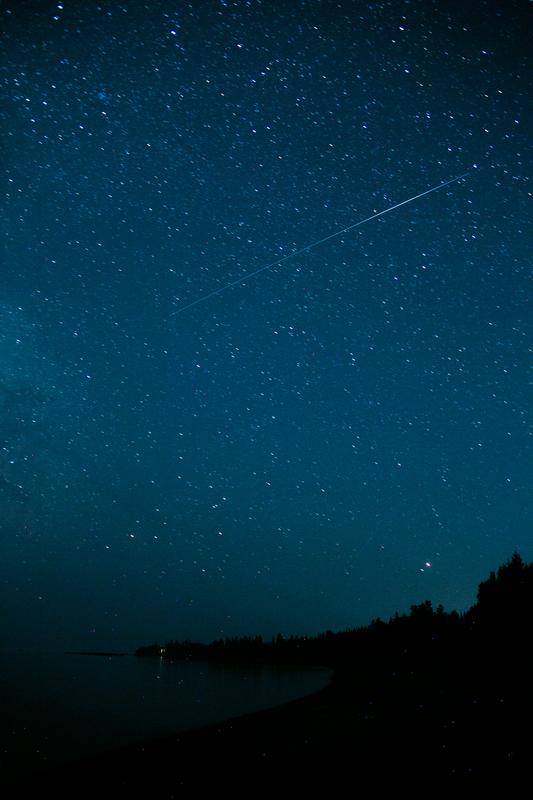 on top of the clear skies, no light pollution, and no moon, there was the perseid meteor showers going on! i don’t know if it could’ve gotten much better. well, i guess i could’ve moved my gear down the beach and lined up the milky way with the trees on the beach, but i was so enthralled i didn’t even care. a book recommendation to you: paul bogard’s the end of night which talks about how light pollution is not great for people and how it’s ruining scenes like this. 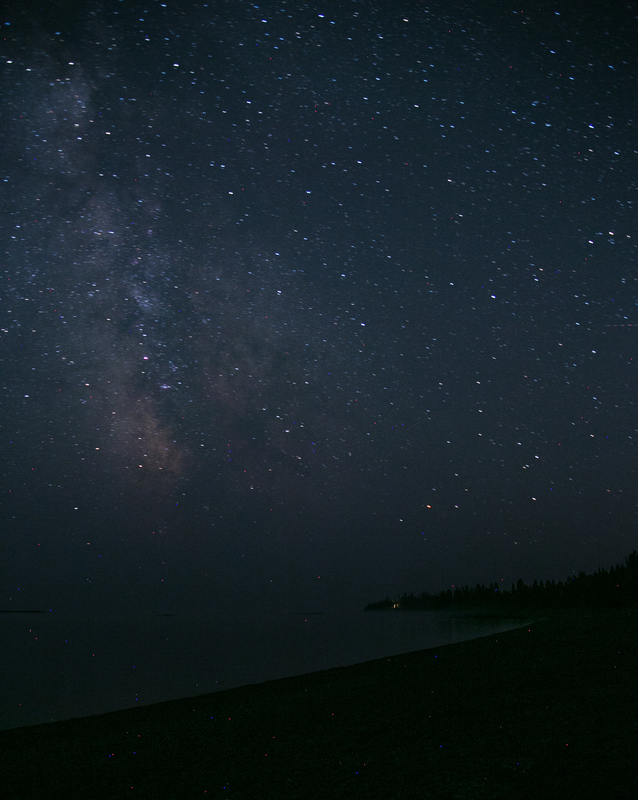 and the longer we stayed out in the dark, the more stars we could see. i think i read in the bogard book that it takes a full three hours for our eyes to completely adjust to the dark, at which point we would be able to see a ton more in the sky. lori, who said she’d come to look at stars but wasn’t as enthused as i was, set up shop in her sleeping bag on the beach. when we left, she said she could’ve stayed out all night. we headed back to camp to catch some ZZZs before heading out on the long day the next day. 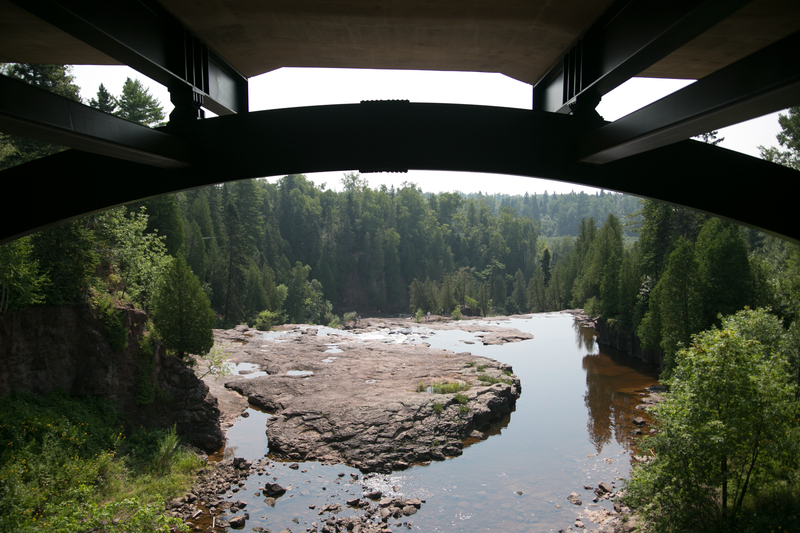 the last day included a mine tour and driving from the NE tip of the state back to st. cloud. whew! These star pictures are amazing. If you’re selling I’m interested!